There would be no carousing during peony viewing! Chèvrefeuille’s haiku sits at the crossroads of Eastern and Western culture, sharing the excitement of new love and hinting at the language of flowers used today in Western culture. Long-lived and sweetly perfumed, they also represent good fortune, beauty, and happiness. 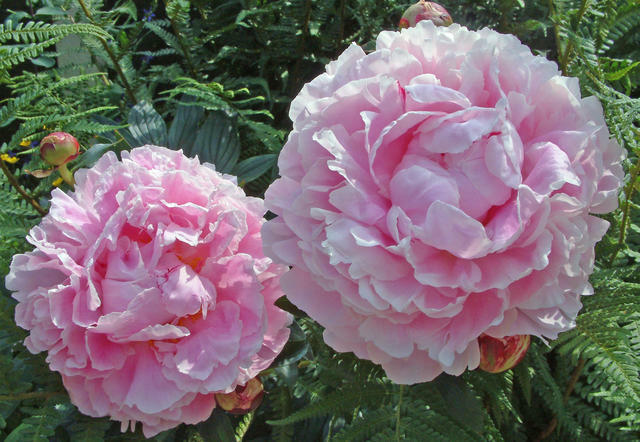 Victorians believed that mischievous nymphs hid in the peony’s petals. The peony could bear the message … or it could symbolize the woman herself. Utagawa Kunisada. Visit to a Peony Garden. WikiArt. And when is a bee just a bee? Shotei Takahashi. 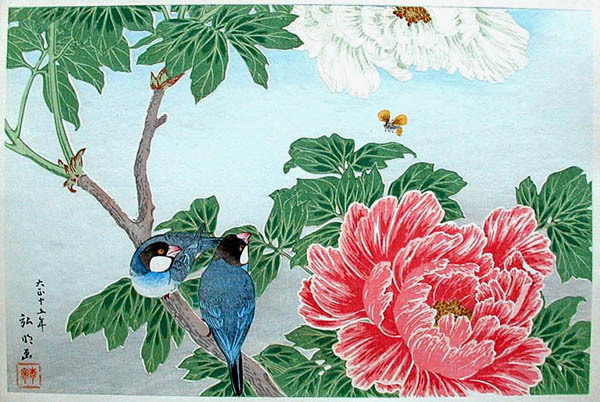 Peony & Paddy Birds. WikiArt. So ... when you consider the peony, which images come to your mind? This episode is open for your submissions tonight at 7.00 PM (CET) and will remain open until July 20th at noon (CET). Such a pretty post today. What a beautiful post ... very inspirational! usha menon's page wouldn't open for me. Was there a typo? I have repaired the link to Usha's weblog. Thanks for putting this post together, Jen. Your eye and ear for beauty are apparent. Yes very nice post....and clever!